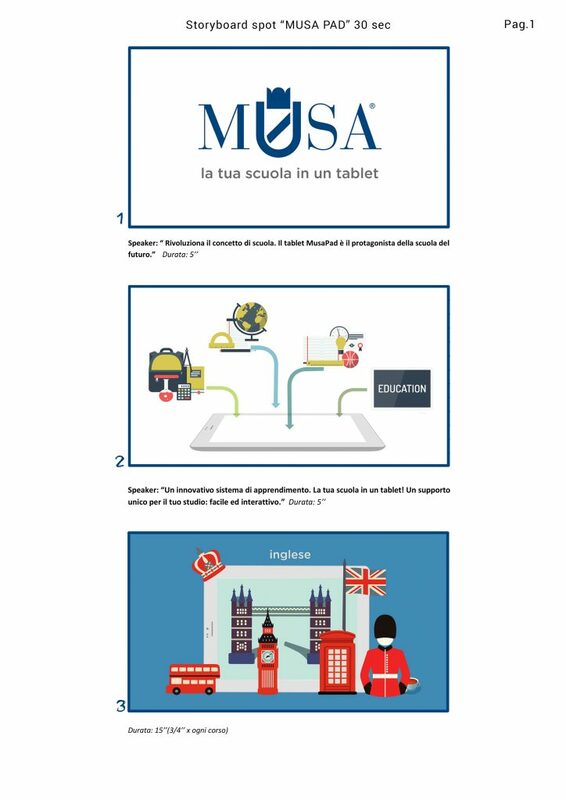 Storyboard intended to advertise Musa Scuola’s educational classes with a fresh and immediate style. During the first stage of pre-production the client handed out the recorded voice over. 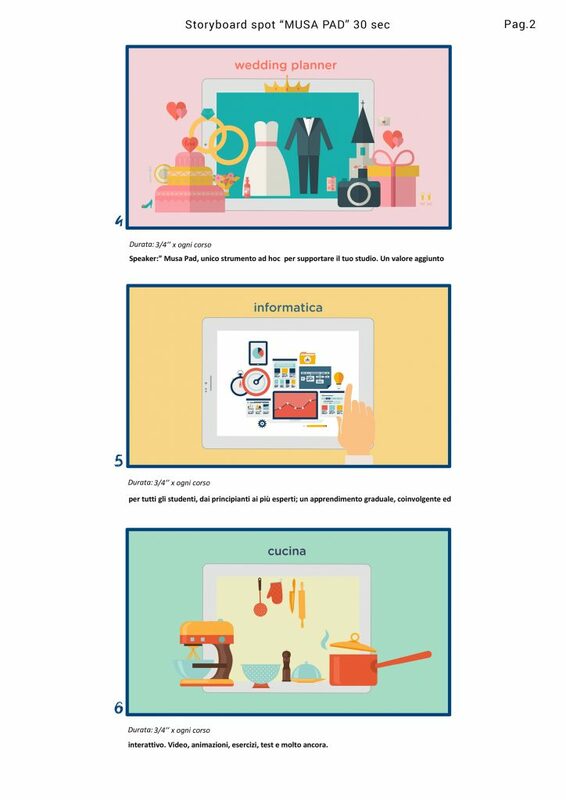 The storyboard was outlined with narrative and visual coherence: the various illustrated elements cooperate to adhere to the spoken text and work in unison with a suitable flat design motion graphic.